Planning for a home improvement project can be stressful. Who hasn’t walked around a big box store and got overwhelmed by options, but underwhelmed by service and product quality. That’s precisely why Maureen’s created a showroom experience that is completely different; focused on quality and service. Maureen’s offers a wide variety of products including: cabinetry, flooring, countertops, hardware, accessories, closet systems, window treatments and so much more!  Maureen’s is also proud to be the region’s Premier Cambria Dealer. We carry the best brands with high quality standards, yet at a variety of price points to match every budget. View our product lines. Our product stock rotates frequently meaning you always have access to the latest building technologies and trends. 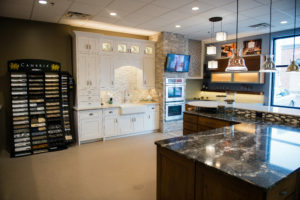 Our showroom is staffed by our experienced designers who are knowledgeable and trained on all the product lines and can help you select the right product to fit your space, tastes and lifestyle. Shop in a comfortable, intimate environment that allows you time to explore and interact with the products and make informed purchase decisions. Maureen’s showroom is open Monday through Friday from 9 am – 5 pm, with other times available by appointment. Contact us to plan your visit today!